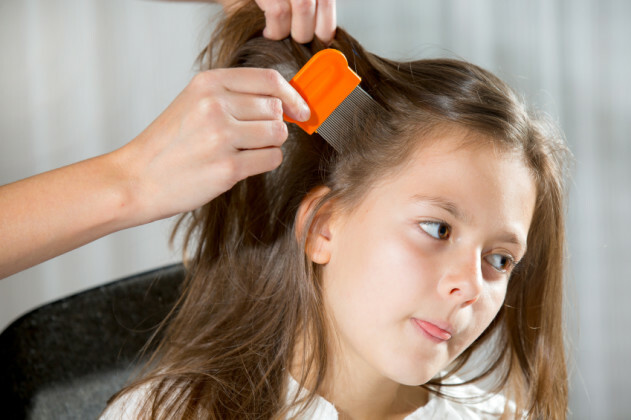 It is women who are judged for their children getting lice for being “dirty,” despite the fact that the evidence is clear that lice don’t care about washed or unwashed hair. My kids trade years each Christmas over who gets to be sick with everything from scarlet fever, whooping cough, and stomach bugs. What I do look forward to—in between trips to the pharmacy and endless washing cycles—is freedom from lice. Two whole joyous weeks where I do not have to spend hours wet-combing my child’s hair in a desperate search for that one hyper-fertile louse that wants to establish a dynasty. This year, it was not be. One child celebrated with a stomach bug and the other with a lice infestation of epic proportions. I celebrated Christmas by chopping off everyone’s hair off. My kids weren’t happy about it, but I had to. And the full range of “essential” oils from tea tree to peppermint. Mostly, they made the kids smell like they’d been lost in a bubble gum factory. Lice don’t care if your kid’s hair is clean or dirty. I’ve tried every lotion and spray. I have memorized the official advice on how to treat lice and bought every type of comb, including one that supposedly kills lice with an electric shock. But still, lice are a mother’s shame. It is women who are judged for their children getting lice for being “dirty,” despite the fact that the evidence is clear that lice don’t care about freshly shampooed hair or the head of a kid who considers showering on a par with torture. It is the mother in the playground who is blamed for the spread of lice. I have yet to see a father looked down upon for bringing in a child covered with lice. Instead, I see women, especially poor women and women of color, isolated, shamed, and judged. After all, middle class kids are the victims of lice spread from “those kids,” they don’t spread lice themselves. We don’t talk about how easy it is to spot lice on the head of a blond child with thin hair and the impossibility of finding them in thick, black, curly hair. We certainly don’t link this with the racism experienced by women of color who are always judged as inadequate in their mothering. There is silence on the issue of a single, working mother holding down two jobs to pay the rent who is too exhausted at the end of her shifts to spend three hours combing through her kid’s hair—or a mother dealing with a child with serious health issues who is too exhausted between trips to the hospital and social services fighting for support to deal with lice every single day. What I didn’t expect when writing about lice as a feminist issue is just how many women agreed with me. I was unprepared for the sheer number of women, including those who don’t identify as feminists, who wanted to speak about being considered a “bad mother” because their children caught lice—an event which is as likely as kids getting a cold. I heard from mothers who were called at work to collect their children from school due to lice—something that rarely happens to fathers. When I wrote that lice is a feminist issue, I was thinking in terms of “wife work” and women being held responsible for all childrearing—even when married. I hadn’t quite thought of the full implications for women living in North America denied access to childcare due to lice. I hadn’t thought about the consequences for children denied access to education due to lice. I hadn’t realized the full extent of racism and classism involved in policing mothers and children. I learned that lice are a feminist issue and not just because mothering is a feminist issue, but because women are always to blame—regardless of subject or incident. It is always the woman’s fault—something I will remind myself of again tonight as I’m combing through my daughter’s hair looking for that last remaining egg about to hatch. Louise Pennington is a feminist writer, activist and public speaker who works for the campaign organization Everyday Victim Blaming. In her spare time, she runs A Room of Our Own: A Feminist/ Womanist Network. Dear Dana: Online Dating Is Getting Me Down, How Can I Stay Motivated?